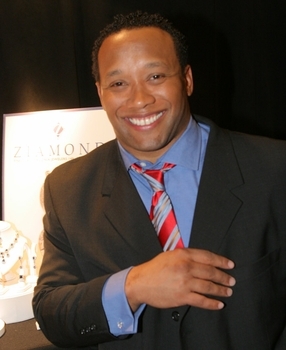 NFL Great Jamal Anderson shows off his Ziamond Cubic Zirconia CZ Jewelers Men's Cufflinks. The Ziamond Cubic Zirconia CZ Men's Collection features a variety of cufflinks all set in gold or platinum. We also offer custom design services to replicate or design the style of your choice.